There are lots of good reasons to remodel your bathroom. While improving the layout, replacing old piping, and upgrading the shower stall are all good reasons on their own, doing these things in your home can lead to an even better reason to invest in renovation: increased property values. By improving the bathroom in your home, it’s possible to dramatically increase the value of your house, which can have lots of benefits to anyone looking to sell or to improve their general finances. Before you start planning out your renovations, however, you should know that not every change to your bathroom will significantly increase the value of your property. It’s entirely possible to spend a big pile of cash on remodeling, only to find out later that the value of your house has stayed exactly the same. So, what’s the difference between a bathroom remodel that adds value to a home and one that doesn’t? The most important aspect of a value-increasing renovation is that it adds a noticeable positive change to the room. The thing with most bathrooms is that they are just functional, with little thought given to comfort or ease of use. As such, the majority of bathrooms out there are stark and unremarkable, and, probably, a little uncomfortable to use at times. If the changes you make to your bathroom just update the fixtures without improving the room’s form or function, then the updates aren’t going to add much value to the property. What this means, in practical terms, is that remodeling a bathroom with the intent of increasing the value of your property means more than just giving your old bathroom a metaphorical new coat of paint. Instead of thinking how the fixtures you have now can be slightly updated or replaced with something similar, think instead about what can be added or improved. The bathtub and shower are good places to start with these kinds of changes. In most homes, the tub/shower stall is just big enough to (almost) comfortably fit one person, with little in the way of comfort features. Fortunately, there are several ways this can be improved. Instead of keeping the standard tub, consider adding a larger stall with more space, and maybe even some luxury features like water jets. Another value-adding change is updating the sink and cupboards. Rather than sticking with the plain, functional variety found in most bathrooms, think of something more elegant and luxurious, such as a full vanity with lots of storage and space to primp and prepare for the day. If you’re looking for a way to make the room feel less claustrophobic, consider adding a window on the ceiling, which will let in more light and make the space feel bigger without sacrificing privacy. 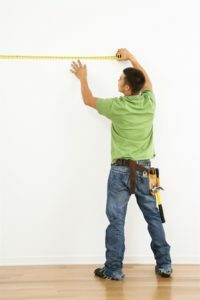 Need some more suggestions on how to add value to your property with a remodel? Our bath and shower installation experts are waiting for your call. Contact us today at 888-228-4925.